We do not 100% guarantee the security of any data uploaded to our servers. Users use this free tool at their own risk. We are not responsible for any data lost, damaged, changed, hacked, or leaked after it has been transferred to our servers. Although we can not guarantee your security, we do implement a variety of security measures to maintain your privacy. Our servers encypt data stored on them so any images uploaded to our servers will remain visible by only the posting party for up to 24 hours or until that users session has ended. Approximately 24 hours after your image has been uploaded, that image will be deleted automatically on our servers. Under no circumstances will CutMyPic release your uploaded data to any person, entity, company or otherwise. The data you upload to our servers is your data and we will treat it as such. Any person other than yourself will not be allowed to view or touch your data under our consent without ripping it from our servers cold dead hands! 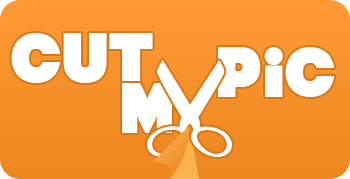 CutMyPic recommends you do not use this site for image files containing personal data, contracts, or sensitive information of any kind. As we DO NOT GUARANTEE the safety of your submitted images, it would be in your best interest not to upload the aforementioned data!